Transcend Information Inc., a leading manufacturer of storage and multimedia products, is proud to introduce SSD Enclosure Kit options in different form factors to cover all possibilities and enhance data mobility. Available in M.2 and 2.5-inch variants, these portable storage enclosures are equipped with USB 3.1 Gen 1 interface and UASP (USB Attached SCSI Protocol) support to deliver fast and efficient data transfers compared to traditional USB 3.0. Unlike conventional USB 3.0 and BOT (Bulk Only Transport) protocol, which only allow for a single, unidirectional command at a given time, UASP allows for simultaneous; bidirectional commands that, when used with a UASP-enabled host computer, results in accelerated read and write speeds at peak performance. UASP also demonstrates up to 80% reduction in required processor resources. Transcend’s CM42 and CM80 are enclosures in different form factors designed specifically for M.2 SATA SSDs. The M.2 SSD enclosure uses the USB 3.1 Gen 1 interface incorporated with UASP (USB Attached SCSI Protocol) that makes transfer speeds faster than with a sole USB 3.0 interface when used with a UASP-enabled host computer. Transcend’s M.2 SSD enclosure features a lightweight aluminum construction, making it both portable and durable while you are on the move. 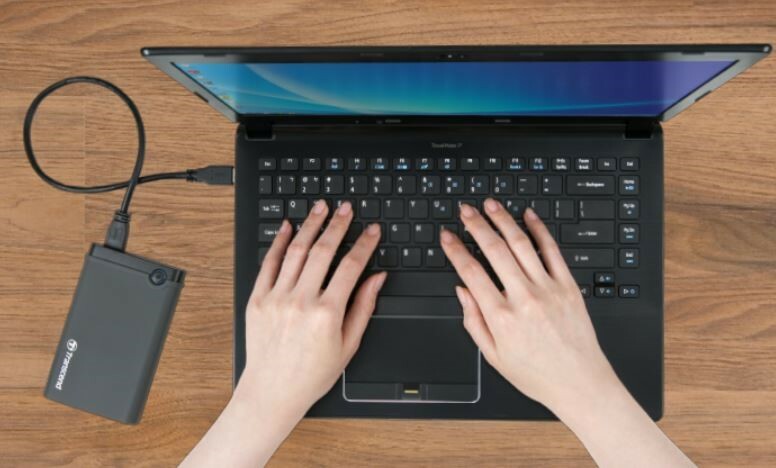 By following the step-by-step installation guide, you can transform an M.2 SATA SSD into a portable USB 3.1 Gen 1 external drive, maximizing utilization. In terms of 2.5-inch SSD/HDD enclosures supporting UASP, the StoreJet 25S3 features a stylish, yet compact aluminum case, while the StoreJet 25CK3 protects your drive against shock and vibration with an outer rubber case and inner rubber shock absorber. Transcend’s 2.5” SSD/HDD Enclosure Kit comes with all the tools you need to reuse the 2.5-inch hard drive removed from your notebook. Follow the step-by-step installation guide to find useful tips and assembly instructions. The kit also features a one-touch backup function, so download the Transcend Elite software from our website to better manage your data. The SSD Enclosure Kit options are backed by Transcend’s Two-year Limited Warranty. Tips to stop cyber criminals from getting the best deals on International Shopping Day!